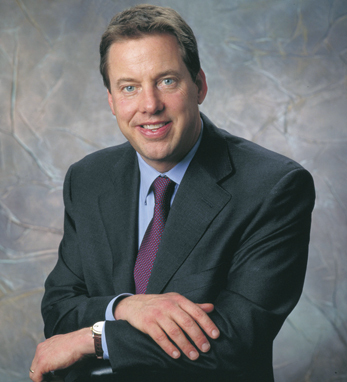 Ford Motor Executive Chairman William Clay Ford is the great-grandson of Henry Ford, who was the son of an Irish immigrant from County Cork. Henry “put the world on wheels by making personal mobility affordable,” and William Jr. is leading the 102-year-old company that bears his family name. William, who joined Ford in 1979, is a dedicated environmentalist. His efforts have won him the President’s Commission on Environmental Quality Award. In 2000, under his leadership, Ford published its first corporate citizenship report outlining the economic, environmental and social impact of its global operations. As vice chairman of the Detroit Lions, he led efforts to build a new, environmentally friendly stadium in Detroit and helped expand the Detroit Police Athletic League youth football program. He is also Honorary Chairman of the Southeast Michigan Consortium for Water Quality. Ford, who holds a B.A. from Princeton University, where he has served as a trustee, and a master’s from MIT, is married with four children.